The Canadian government studied and established the first building blocks of our current social safety net in the early 1940s, during the Second World War. 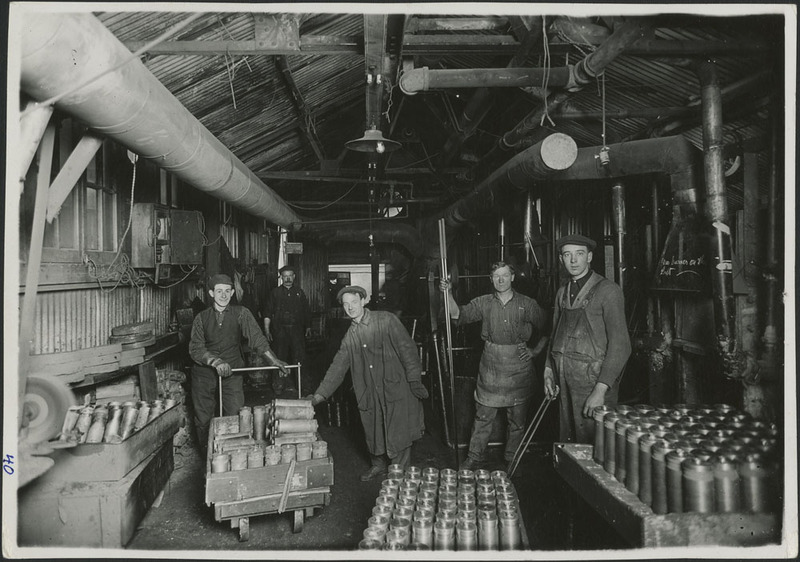 The government was looking to avoid or abate a repetition of Canada’s experience of increased unemployment when soldiers returned from the First World War, especially in manufacturing with the end of wartime production and the resulting lower demand. One of the ideas that it seized upon was unemployment insurance: a mandatory program to which both employees and employers would contribute based on a given employee’s wages; if the job was lost, that person would have some guarantee of a continued income for a specified period. 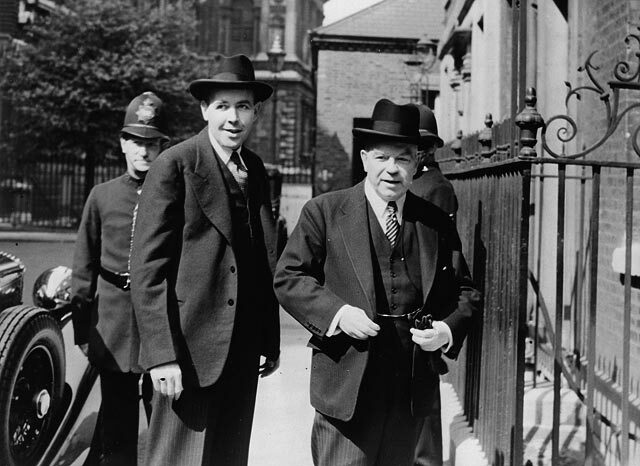 The legislation establishing the program received royal assent in August 1940 and took effect on July 1, 1941. While unemployment insurance has been modified and reformed since then, the essence remains the same under the present Employment Insurance program. 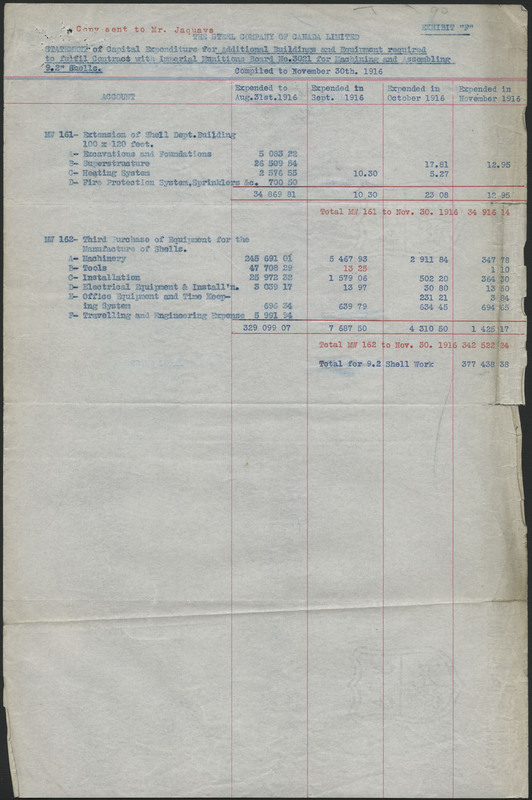 At the time, of course, there was no computer-based record keeping, and a means had to be devised to show not only that payments for contributions had been made but also that a given employee was entitled to coverage. The most common method of proving that taxes or fees had been paid for government services during the late 19th and early 20th centuries was through the use of revenue stamps. Similar to postage stamps, revenue stamps specify the amount of money paid to purchase the stamp and the tax or fee that they were created to pay for. When used, revenue stamps were cancelled by an official to indicate that their value had been used for the intended purpose. Unemployment insurance stamps were available for purchase at post offices, and employers were required to withhold a set proportion of an employee’s wage, while also making their own contributions, to purchase these stamps. 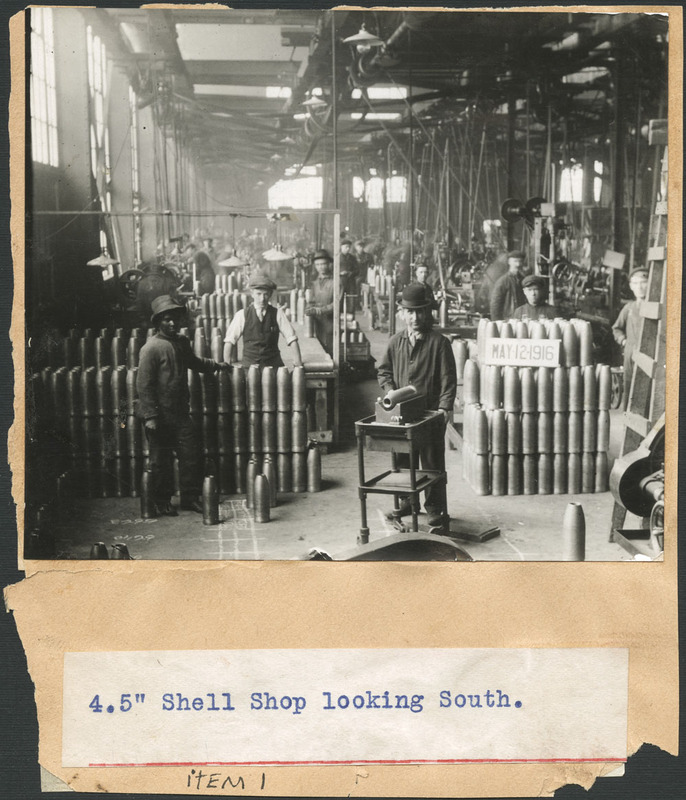 The stamps would then be affixed to booklets, generally kept with the human resources or management unit of a company, and then submitted annually to the local Unemployment Insurance Commission office. Each employee would have a booklet every year held by each employer for whom he or she worked. 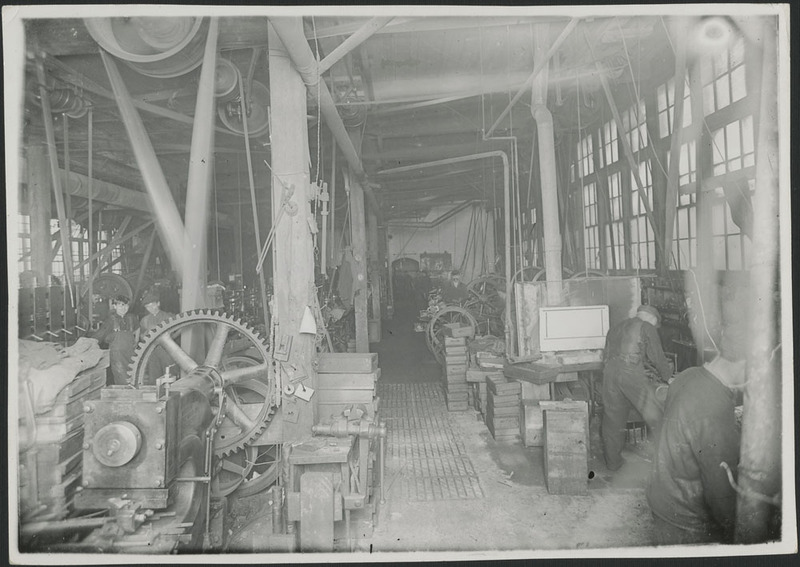 To ensure that the wages withheld were going toward the purchase of unemployment insurance stamps, employees were permitted by law to inspect their booklets twice a month. At the launch of the unemployment insurance program, many forms of employment were not eligible for coverage. These included agriculture, fishing, forestry and logging, hunting and trapping, air and water transportation services, medicine, nursing, teaching, military, police, and civil services. Over time, more forms of employment were made eligible for coverage. Most notably, in 1957 employment in the fishing industry was covered, providing a much-needed income guarantee to people in the newly confederated province of Newfoundland and throughout the Maritimes. At first, existing stamps were overprinted with the image of a fish to indicate their intended use in the fishing industry. In later years, fishing unemployment insurance stamps were issued without an overprint. 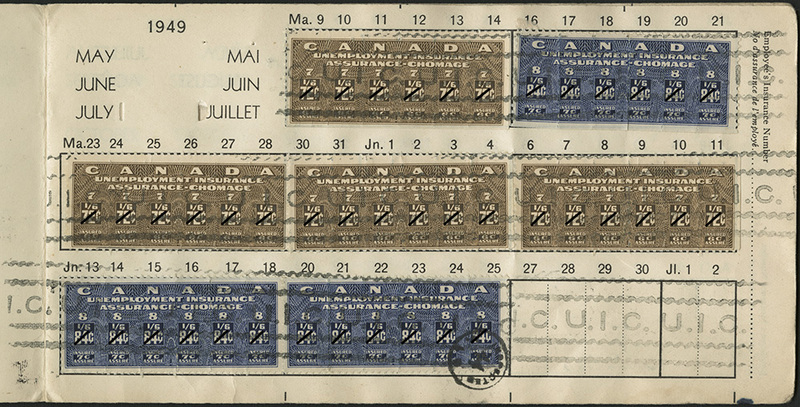 Among the various types of revenue stamps used by federal and provincial governments, unemployment insurance stamps are relatively scarce. This is because under the program’s legislative act and regulations, it was illegal to sell unused stamps, and only an employer or an employer’s human resources designate could be in lawful possession of unused stamps. Further, most of the booklets and used stamps submitted to the Unemployment Insurance Commission as well as most of the unused stamps were intentionally destroyed after their designated five years of retention. Also, unsold stamps were returned from post offices to the Unemployment Insurance Commission for destruction once they were no longer eligible to be sold, which happened when changes to unemployment insurance premiums required stamps to be issued in new denominations. 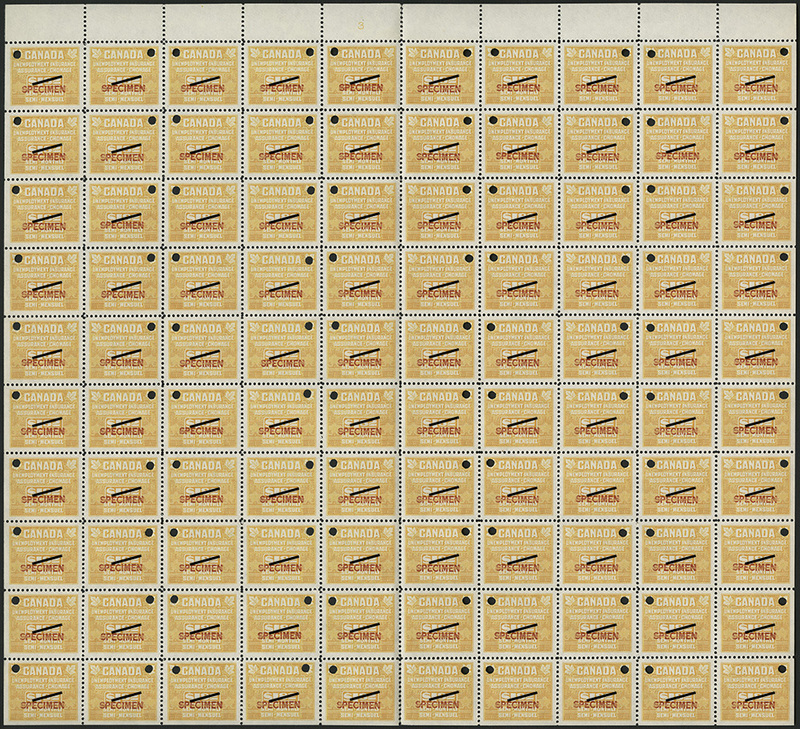 It is thus fortunate that Library and Archives Canada was able to acquire the Danny Leong Unemployment Insurance Stamp collection (R15771), which includes more than 11,000 stamps, unemployment insurance booklets from all the years of their use, and other associated materials. Both Danny Leong and his widow, Violet Anne Leong, were employees of the Unemployment Insurance Commission in British Columbia. Through this employment, Danny Leong was able to collect specimens of the stamps and booklets that were no longer needed for business use, training or reference in the office. 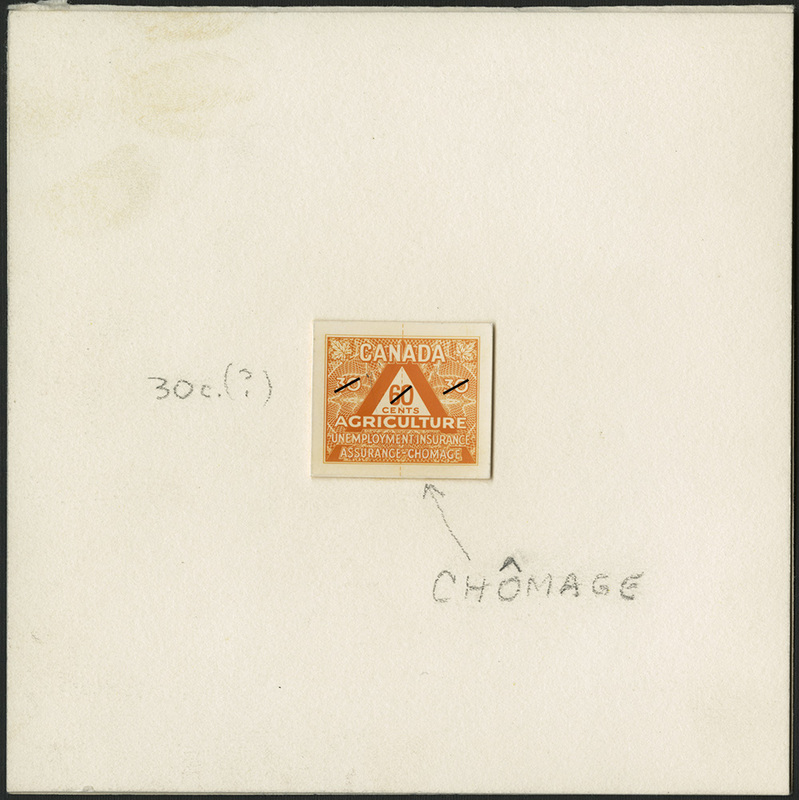 Most of the stamps in this collection are pre-cancelled specimens, printed by the Canadian Bank Note Company in Ottawa and forwarded to the Unemployment Insurance Commission as examples of stamps to be issued and sold at post offices. 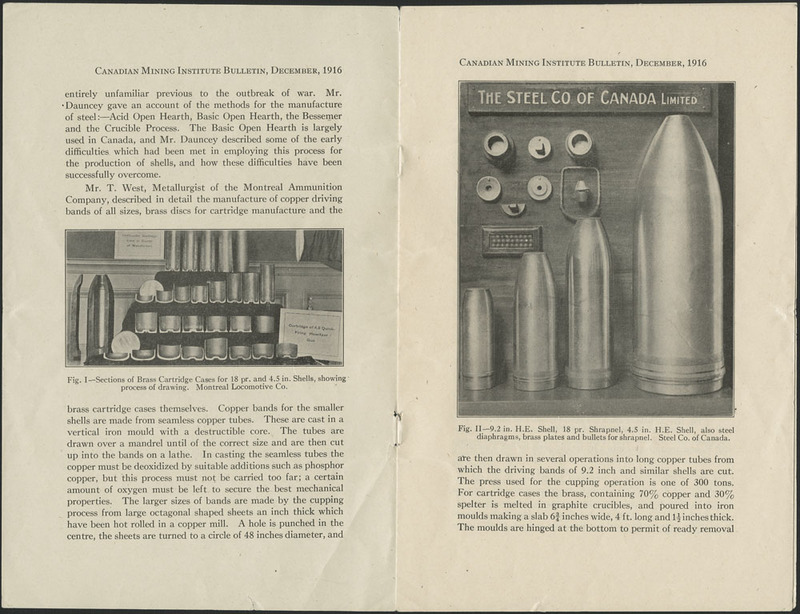 The collection also includes specimen and used insurance booklets, possibly retained for training purposes. The most curious item is a singular engraved die proof dated March 1959. This unique proof is for a never-issued agriculture unemployment insurance stamp—as mentioned above, agriculture was not covered by unemployment insurance during this period. Evidently, consideration was given to including agricultural work in the program, and this consideration was serious enough to have involved having a stamp for that purpose designed and engraved. 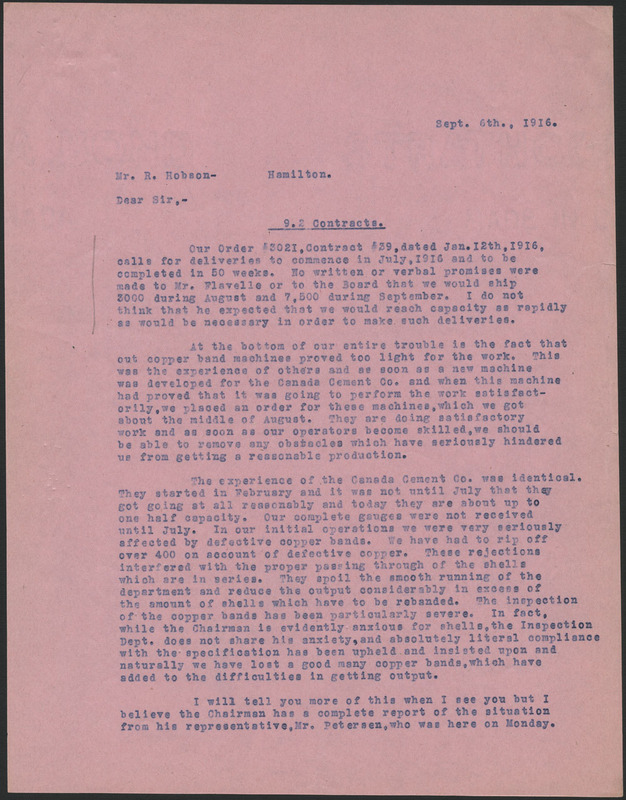 In discussion of this item, Yves Baril attributed the work as most likely that of the Canadian Bank Note Company’s letter engraver Donald Mitchell, while the design appears to be that of Harvey Prosser, with supervision by John Francis Mash. The use of revenue stamps and unemployment insurance booklets to record payments for insurance continued until the early 1970s. 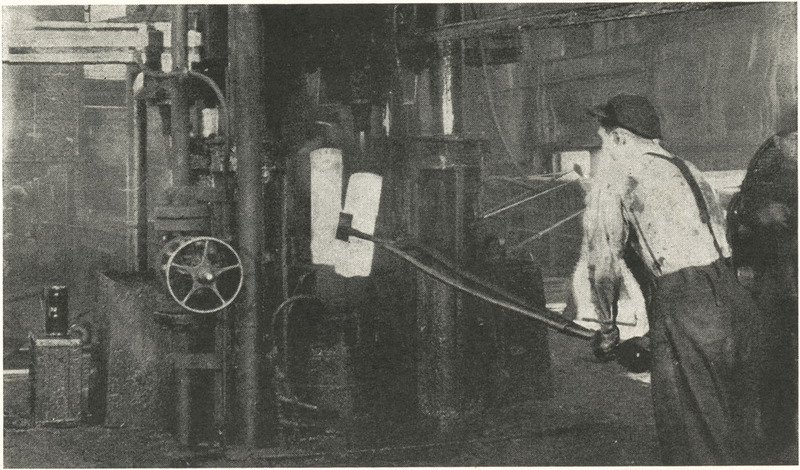 Thereafter, the program was reformed with computerized records and the first issuing of Record of Employment forms, which are still in use. Most importantly, the 1971 reform of the Unemployment Insurance Act made coverage almost universal regardless of industry. The final issue of unemployment insurance stamps, printed in 1968, went mostly unused, with only a few used examples having ever been found by collectors. Of interest to both those who study philately and labour history in Canada, the Danny Leong Unemployment Insurance Stamp collection is available for consultation at Library and Archives Canada. 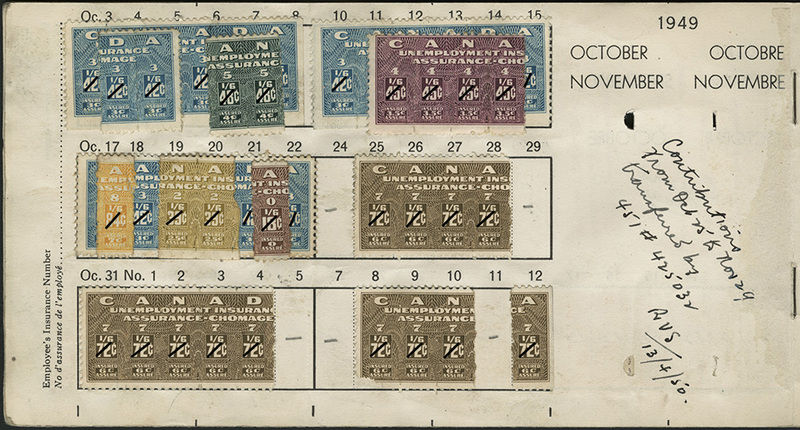 For further reading on Canadian revenue stamps, including unemployment insurance stamps, Edward Zaluski’s Canada Revenues is an outstanding resource. James Bone is an archivist in the Social Life and Culture Private Archives Division of the Archives Branch at Library and Archives Canada. For just one evening, on September 20, 2018, Library and Archives Canada (LAC) will exhibit a bound, time-worn 1946 ledger with a blue cover. This small exhibit is part of “Revisiting Japanese Canadian Redress: Conference on the 30th Anniversary of the Agreement,” an event co-hosted by LAC and the Ottawa Japanese Community Association. The word “Repatriates” is handwritten on the cover in fountain-pen ink. “Repatriation” is the expression used by the Canadian government to describe what scholarship and research have shown amounted to deportation. This term is often paired with the word “voluntary” (as we shall see, it was not). By definition, Canadian-born children whose only connection to Japan was their racial origin could not be “repatriated” to Japan. Beside certain names are handwritten ballpoint and fountain-ink annotations. 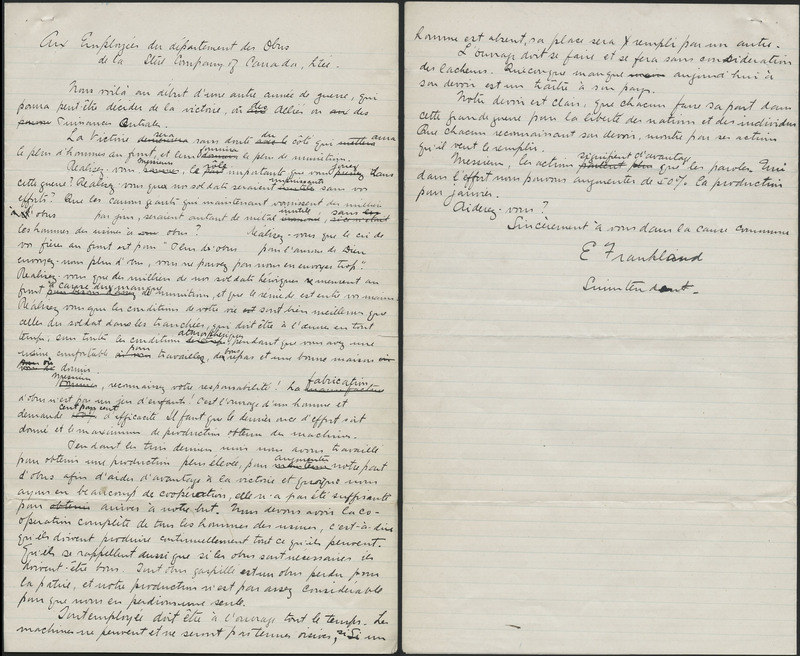 LAC has other copies of bound ledgers similar to the one on display, but what makes this particular copy so valuable are the handwritten annotations it contains. These annotations appear to be citations from statutes or Orders in Council (e.g., Privy Council Order 7356, December 15, 1945) that indicate how Canadian immigration officials would be able to prevent certain deportees from returning to Canada. 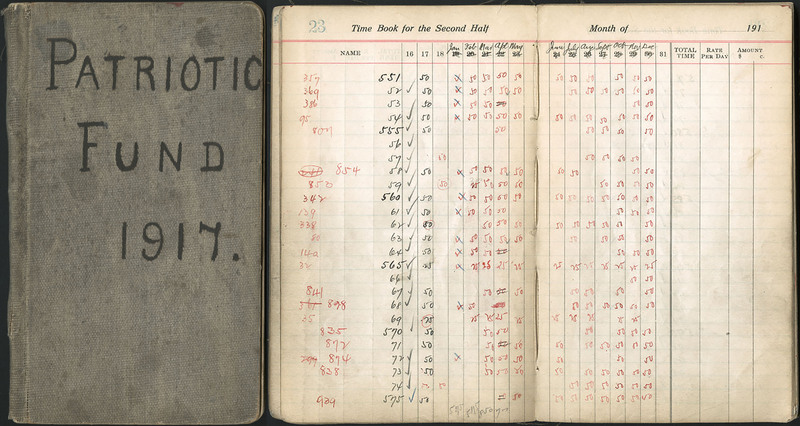 Recognizing the value and the historical significance of the ledger, LAC immediately scanned the pages to preserve the information they contained. By doing so, LAC took steps to preserve the power of a name in our country’s memory. 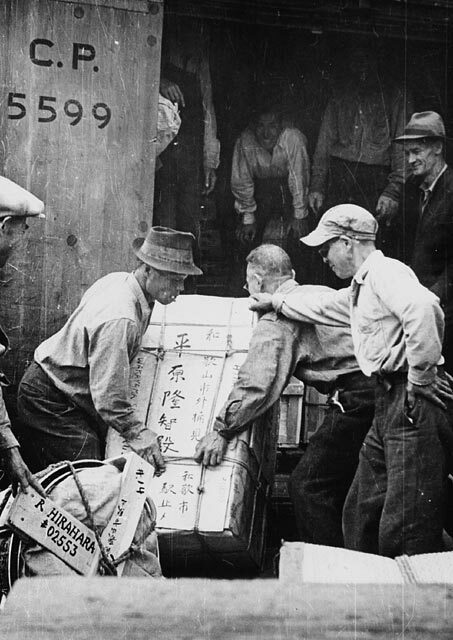 The names and information about the deportees bear silent but powerful witness to the suffering of those 3,964 men, women and children who ended up in a defeated and starving Japan and who were effectively barred from returning to Canada solely on the basis of their racial origin. At the “Revisiting Japanese Canadian Redress” event on September 20, participants not only will be able to view the ledger, but also can meet 88-year-old Canadian-born Henry Shibata, who was deported to Japan in 1946 and whose name is inscribed in the ledger on display. 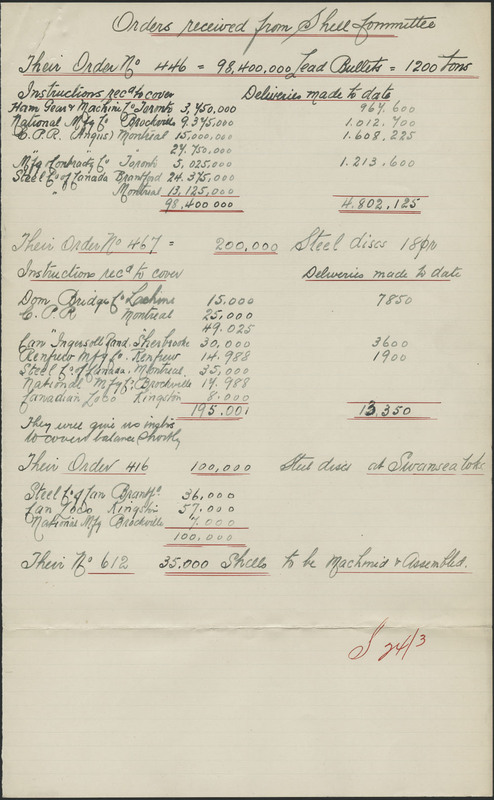 In the ledger, beside his name and the names of all six of his Canadian-born siblings, we find handwritten annotations (which appear to be statute citations). If these citations are indeed equivalent to the annotations referring to Privy Council Order 7356—the order that barred the return of any deported naturalized Japanese Canadians—then the Canadian government’s intention was to bar Henry and his siblings from returning to Canada. 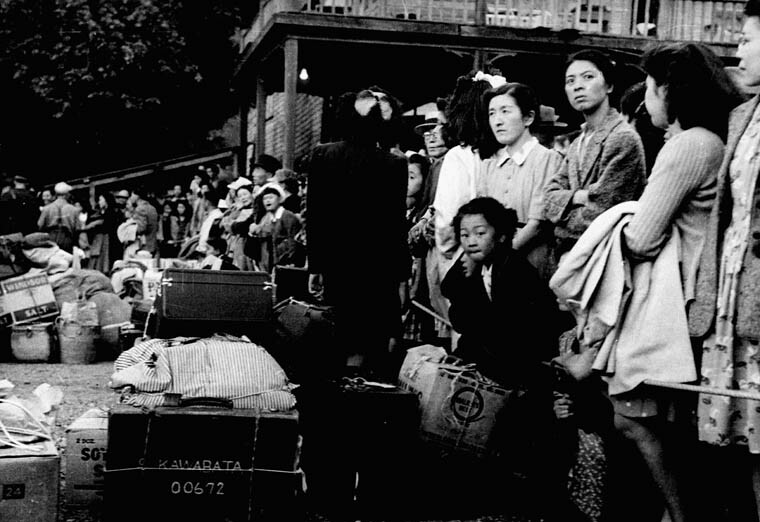 In the spring of 1945, the government of Canada surveyed every Japanese Canadian 16 years or older, including those in internment camps and even patients being treated in a psychiatric hospital, and compelled each person to choose whether he or she would go to Japan or east of the Rockies. 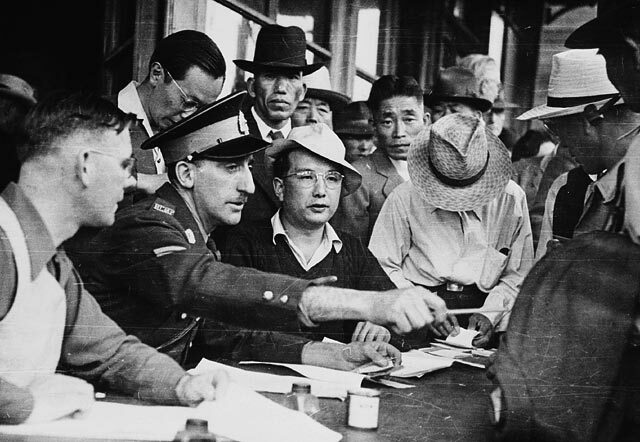 Signing a form—which was part of this massive survey—and choosing to go to Japan was treated as prima facie evidence of disloyalty to Canada by the federal government, and an automatic cause for segregation and deportation. This information was expressly not provided to the Japanese Canadians forced to make this life-altering choice. They did not understand what they were signing: in effect, their application for deportation. In fact, several of the annotations in the ledger, written by a bureaucrat, even include the phrase “app[lication] for deportation.” The survey was conducted by the Royal Canadian Mounted Police. 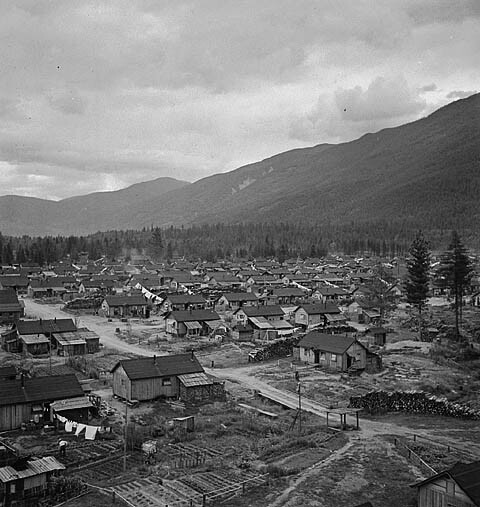 Japanese Canadians who had been interned in detention camps in the interior of British Columbia, who found themselves forced to work on Prairie sugar beet farms to keep their families together, who were forced to work in isolated road camps, or who had been interned in prisoner-of-war internment camps for protesting their separation from their wives and children, were discouraged and afraid for their futures. Many had survived three long years in internment camps, where they could not move beyond camp boundaries without a pass. Why did the deportees sign to go to Japan? Pressure began with the community’s forced relocation from the West Coast in 1942. Then, starting in 1943, their property—held in trust by the federal Office of the Custodian of Enemy Property—had been auctioned off without their consent. Internees had been forced to live off the monies realized from these sales, essentially paying for their own internment. 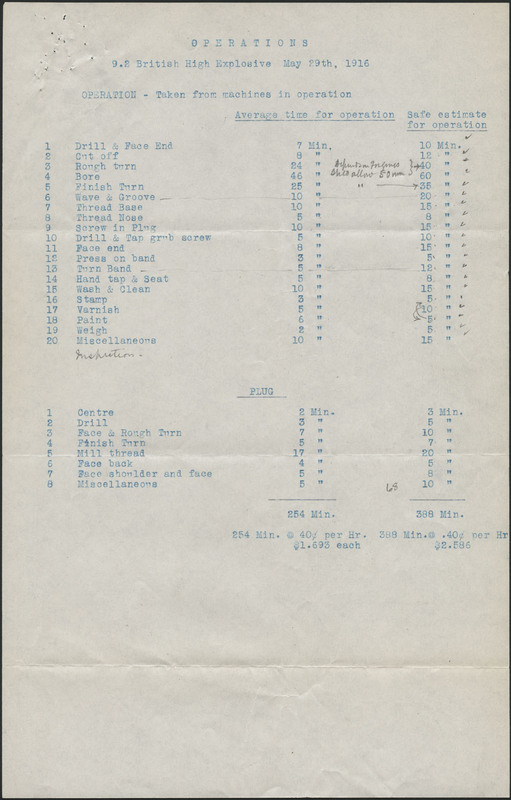 Moreover, internment camp supervisors were graded on how many signed forms they could obtain. Those Japanese Canadians who ended up signing were the most vulnerable internees: persons with family trapped ‎in Japan, single-parent families and psychiatric patients (some of whom were too sick to sign). Some with limited English-language skills felt that they were too old or too destitute to start their lives over in typically hostile communities to the east. There were also some older Canadian-born children who felt compelled to accompany their aging or sick parents to Japan. In the case of young Henry Shibata’s family, interned in Lemon Creek, British Columbia, parents Hatsuzo and Tomiko had family in Hiroshima and had not heard whether anyone had survived the atomic bomb. Henry’s father, Hatsuzo, also felt that his own lack of written English would make it next to impossible to start over at the age of 52 in Eastern Canada. With the birth of his child Hisashi in the Lemon Creek internment camp, Hatsuzo Shibata now had a wife and seven children to support. During the “Revisiting Japanese Canadian Redress” event on September 20, the deportation ledger will be opened to page 394, the page with the Shibata family entry. At this event, Dr. Henry Shibata will see his name in this ledger for the very first time, 72 years after he sailed to Japan on the SS General Meigs. Now 88 years old and a renowned Canadian surgical oncologist, he will see the original ledger page recording his family’s deportation. Despite the brutal and unspeakable hardships endured by Henry and his family in Hiroshima—a city turned to cinders by the first atomic bomb—Henry managed to graduate from Hiroshima Medical School. Dr. Shibata returned to Canada in 1961, after spending four years in the United States studying to become a surgeon. Through his expertise, Dr. Shibata has helped save many Canadian lives. He retired as a Professor Emeritus of McGill University in 2015. LAC’s new crowdsourcing tool, Co-Lab, gives Canadians the chance to collaborate with LAC by using their personal computers. LAC plans to host the ledger images in a Co-Lab challenge in the coming months, but you can see these images right now using Collection SearchBeta. 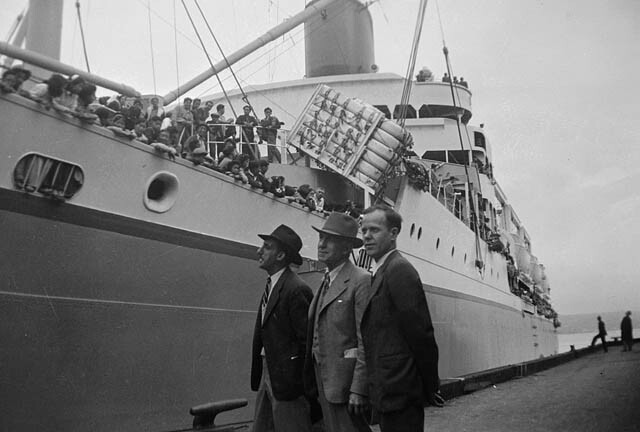 Canadians who have been moved by the story of the deportations and who wish to help keep the names of the deportees alive will have the opportunity to collaborate with LAC and transcribe the 3,964 names and the associated information. LAC hopes that a searchable transcription of the ledger will enable reseachers to decipher the critical handwritten annotations and compile more statistical information on the deportees. We cannot change history and prevent those deportations, but we can solve the mystery of the annotations. We can also make sure that each entry remains accessible to the deportees, their families and researchers around the world, so that all of us can experience the power of these names; so that we shall never forget the human suffering embodied in them or the talent and promise we prevented from enriching Canada. In the meantime, LAC has compiled photographs of Japanese Canadian internment in a Co-Lab challenge and is seeking your help to write descriptions and add keywords that further contextualize these historic photographs and increase the “discoverability” of these records. Try the challenge now! Learn about the deportations, the internment camps in Canada and the Redress campaign, or consult our major collections, by visiting the Japanese Canadians web page. R.L. Gabrielle Nishiguchi is an archivist in the Society, Employment, Indigenous and Governmental Affairs Section of the Government Archives Division at Library and Archives Canada. Railway sleeping cars were introduced to Canada in the 1870s by the Pullman Palace Car Company. 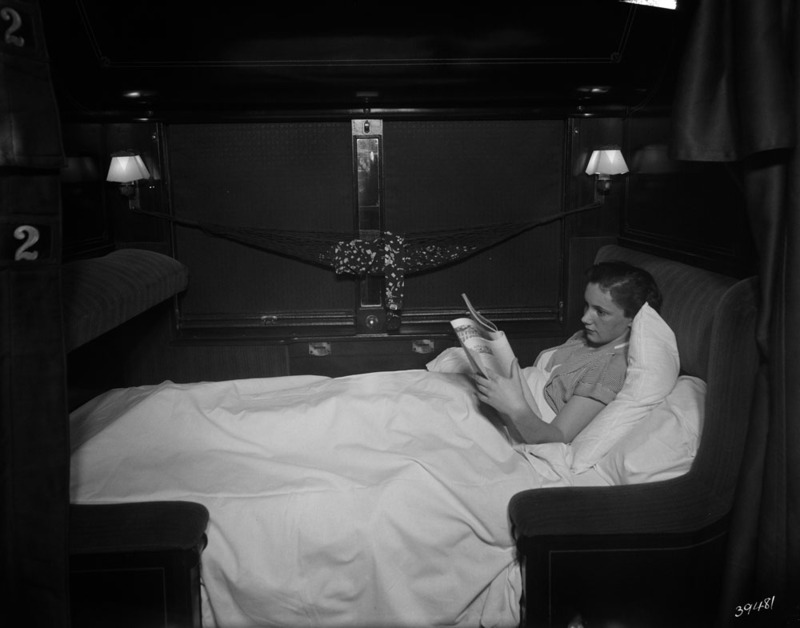 Pullman built and operated luxury passenger rail cars equipped with seating areas that converted into bunk beds; the seats were converted into the lower berth and the upper berth was pulled down from the ceiling. 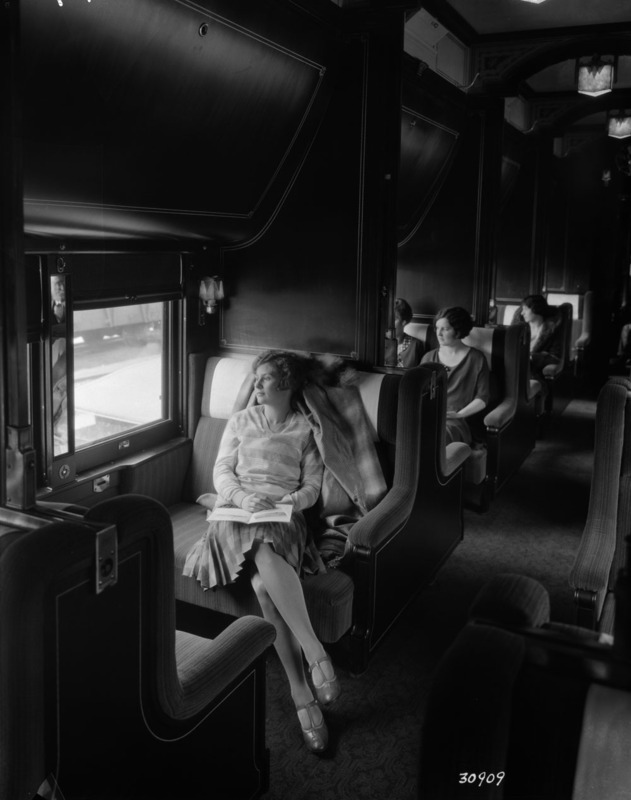 Pullman cars were known for their accommodations, comfort, and the service provided by the porters. The railways were one of the few Canadian companies to hire black men in the early 20th century. It was an opportunity that appealed to many men. There were limitations, however. The railways hired black men solely to be porters, and from the First World War until the 1950s, did not hire or promote black men to the post of engineer, conductor, or any other job on the train. The porters served the passengers during their trip; they would help with boarding and disembarking, serve drinks and snacks, set up berths, make beds, polish shoes, tend to and entertain small children, and cater to the customers’ needs and wants. The porters were essential to rail travel—they were always present but also pushed to the background. The men received regular wages, had the opportunity to see Canada and meet travellers. Stanley Grizzle, a former sleeping car porter, states in his autobiography that porters were admired within the black community. These benefits and rewards came at a cost. Porters worked long hours, often on call for 24 hours with their sleeping accommodations on the train in the men’s smoking room. They were frequently away from home for days at a time. They were also wary of passenger complaints and were often subject to harsh discipline from management. Porters would risk reprisals from passengers when they reported gambling, excessive drinking, or illegal activities. The porters received demeaning and insulting comments and names from passengers. 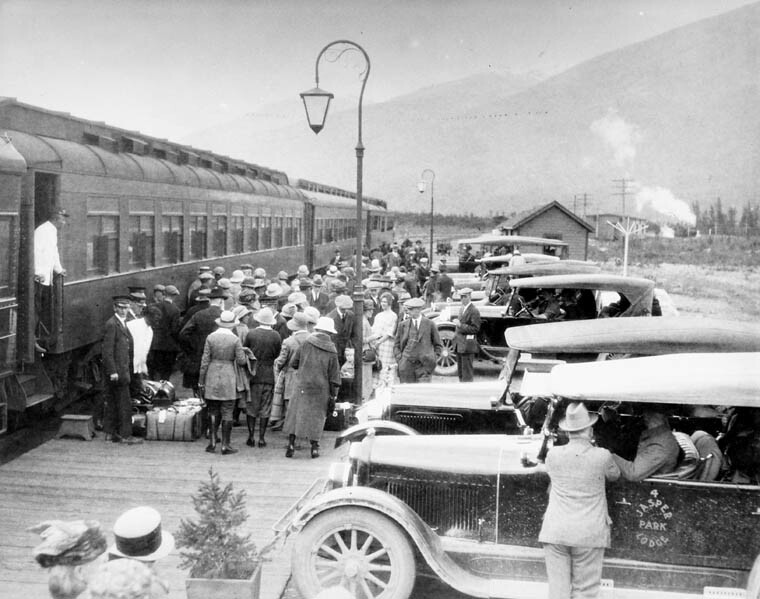 Stanley Grizzle wrote that passengers would frequently address porters as “George” after George Pullman, the original owner of the Pullman Car Company. 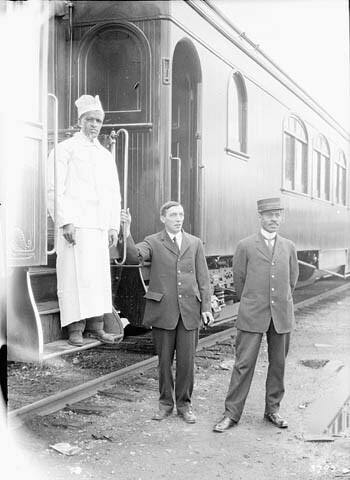 The porters were also forced to rely on tips from passengers. While the money was welcome, Stanley Grizzle writes, the act of asking for a tip was demeaning, reinforced subservience, and allowed the company to justify keeping wages low because of the tips. The Brotherhood of Sleeping Car Porters was organized in Canada during the Second World War. The union helped to negotiate higher wages, better working (and sleeping) conditions, fairer and more transparent disciplinary measures, and ended racial discrimination in hiring and promotions. Beginning in the 1960s with changes in the travel industry, the railways were employing fewer and fewer sleeping car porters. 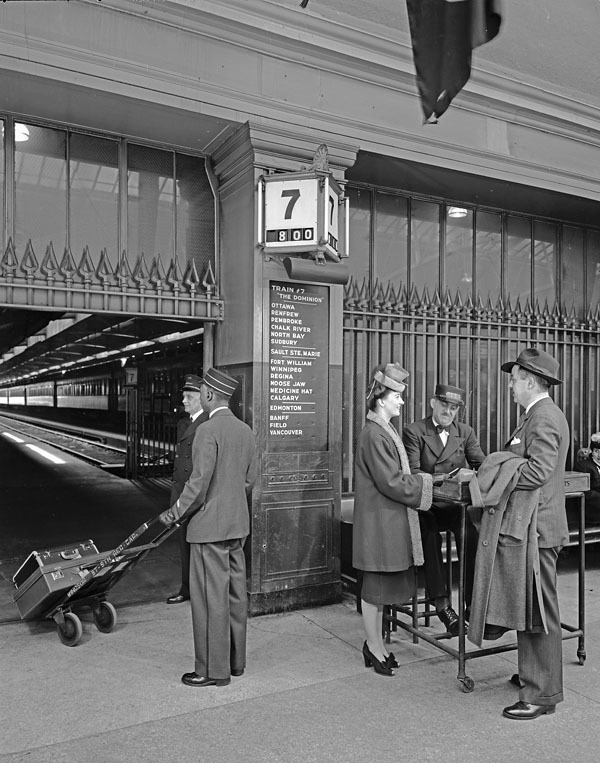 In 1999, Heritage Canada unveiled a plaque at Windsor Station, Montréal, Quebec, to honour the sleeping car porters. Dalton Campbell is an archivist in the Science, Environment and Economy Section of the Private Archives Division.